So exciting! 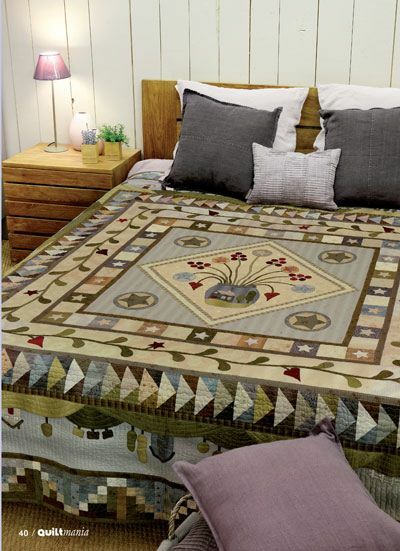 One of my quilts, That Place in the Country, has appeared in Quiltmania magazine issue number 93, Jan 2013. Thank you Quiltmania. The banner across the top of this blog site comes from one of the borders on this quilt. Here are a couple of pictures from Quiltmania.